Now it’s time for us to bring our little naming language together, ironing out some details, making some revisions, and writing up a little mini-grammar on the language. We’ll also be putting it to practice to see how well it functions. We also had a syllable structure of (C)V(C) We’re going to change this up a bit by adding some sounds and removing others, as well as writing them up in a more organized way. The following is a little mini-grammar on this naming language. Adjectives come after their nouns. You don’t really need verbs if you’re only naming places/people/things. And this tiny lexicon is just to give you an idea of how you could structure your mini grammar. You might find that you need less, or even more than the words that are in the sections above. It’s all dependent on the world that you’re building. But, now that we have our mini-grammar all laid out, let’s put this language to practice and see how well it functions. 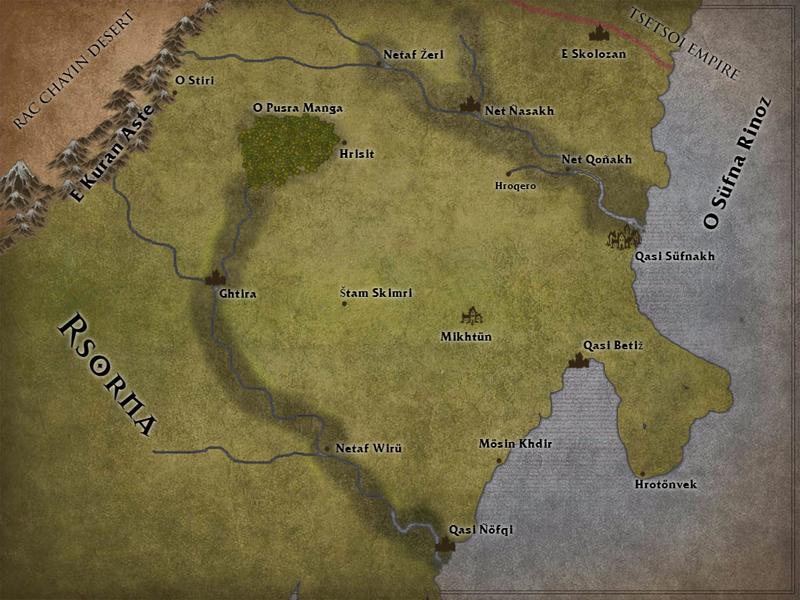 Here’s a little map of the nation in which this language is spoken, with various settlements and features named. As for people’s names, I like the idea of verbal nominaliztions being common, such that you get people like Cetön – Sailor, and Ceže – Seer/Guide, and Ceskim – Priest (literally Blesser). Here are two more mini-grammars for some naming languages with different characteristics than the one above, just to show some of the variety you can get. 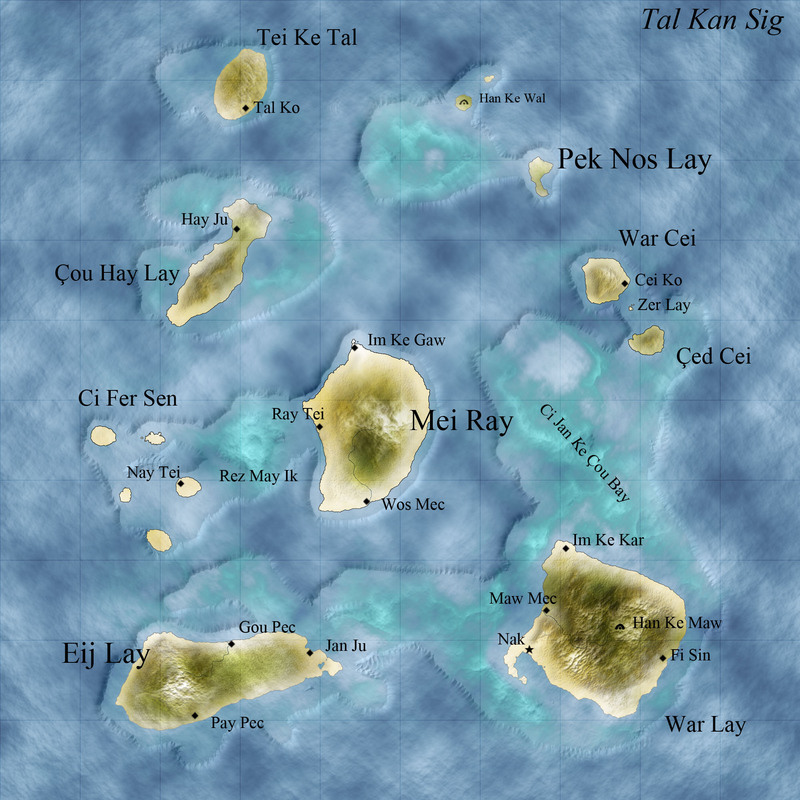 Tal Kan Wuç is spoken in the archipelago nation of Tal Kan Sig. There are two dialects. The southern dialect is considered the standard version of the language, spoken in the capital and by the queen. However, the northern dialect is seen as a bastardization by traders and fishermen living on those islands. In different social classes such as rich vs. poor. Basically anywhere people are separated from each other for whatever reasons. Where one has voiceless stops, the other can have the voiced ones – Para, Tina, Kole vs. Bara, Dina, Gole. R’s vs. R’s – /rezu/ /ɾezu/ /ʀezu/ /ʁezu/ /ɹezu/ /ɻezu/ etc. Also note that most of these differences could occur at the ends of words or medially (between vowels) instead. So that’s something to keep in mind when making your dialects as well. Where one dialect has /ɛ/ and /æ/, the other has only one of them. Where one dialect has long vowels, the other does not. Essentially what you want to do is take vowels which are relatively close together in the vowel space and merge them together. So, merging /æ/ and /u/ doesn’t make much sense since they’re so different. But merging /y/ and /u/ does, since they’re both high round vowels. So now let’s get into Tal Kan Wuç! Personal names are usually a positive adjective, whereas clan names are based on animals. The use of “an” before the island name is restricted to the southern islands (War Lay, Eij Lay, and Mei Ray), while the northern islands (Çou Hay Lay, Tei ke Tal, Pek Nos Lay, War Cei, and Çed Cei) prefer to use “ke + island name”. Some common names being Nay Kar an War Lay or Sein Cei ke Çed Cei (Yes, Pearl is also a common name for both men and women). 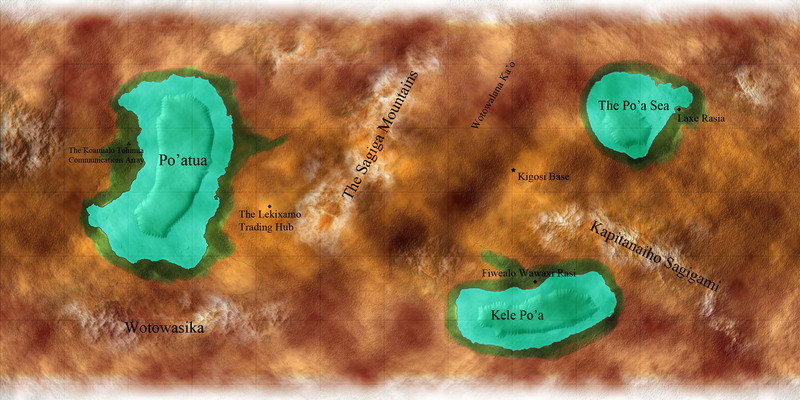 Xihopa is the native language spoken on the desert moon Rewa, which serves as a communications outpost and trading hub for the Joakan Federation of Planets. And so we can see that with a little bit of effort, you can create a great deal of depth and flavour for your world. I hope that this guide has been useful to everyone and will inspire you all to get creative with naming in your worlds. This entry was posted in Guide, Languages and tagged conlang, conlanging, constructing languages. Bookmark the permalink.